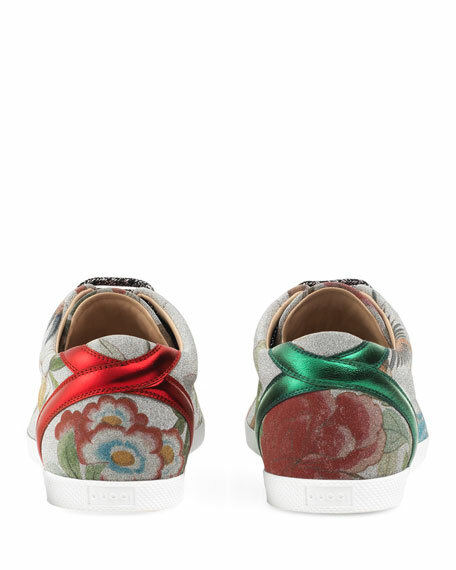 The Gucci Tian print is placed on sparkling glitter fabric, enriched with metallic leather details. 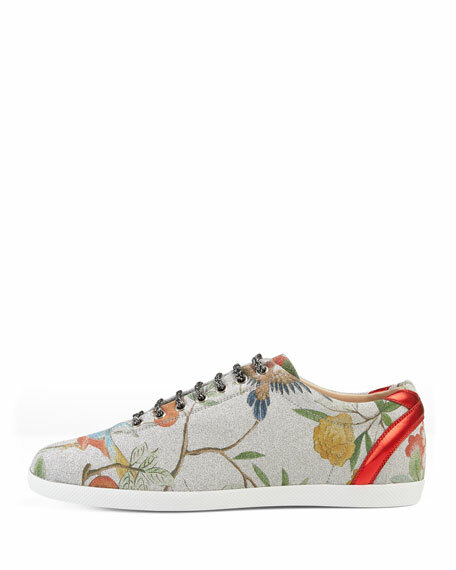 The print features a contemporary floral motif inspired by Chinese landscapes depicted on 18th-century tapestries and screens. 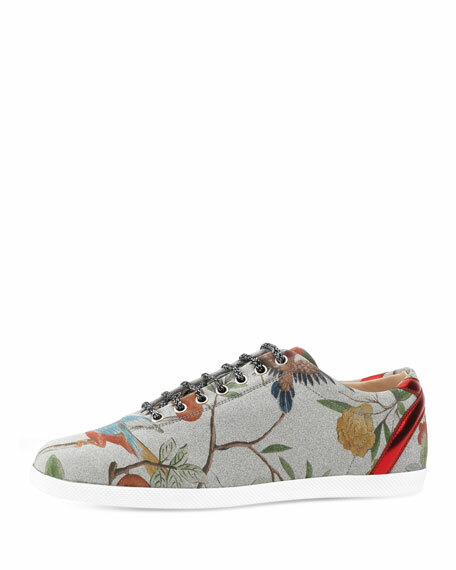 The floral pattern is made up of flowers, insects and birds-including dragonflies, butterflies and hummingbirds. 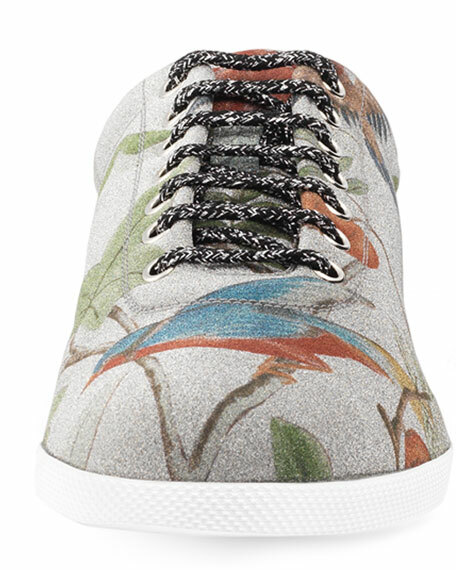 Gucci "Bambi" low-top sneaker in glitter fabric with Tian print. Green metallic leather detail at the back of left shoe. Red metallic leather detail at the back of right shoe. For in-store inquiries, use sku #1958673.